Programing auto input maps (makes the joystick act like the original arcade game, ex: 8 way or 4 way sticks) Software took care of this for me. Not a whole lot new but I thought I'd post some new pics. First up, I added a button to the coin mech so that when you press the coin return button it adds a credit and of course you can use a quarter as well. The above pic shows the trackball lit and the bottom one give you an idea what the buttons look like lighted (they are brighter than it appears n the pics). 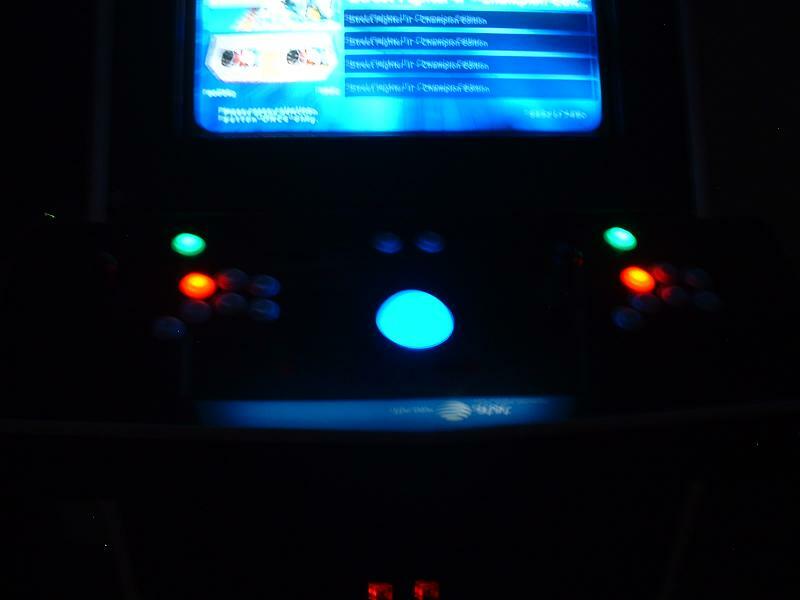 (notice how the button colors correspond to the games actual arcade button colors). The pic below shows how everything looks with the lights off. 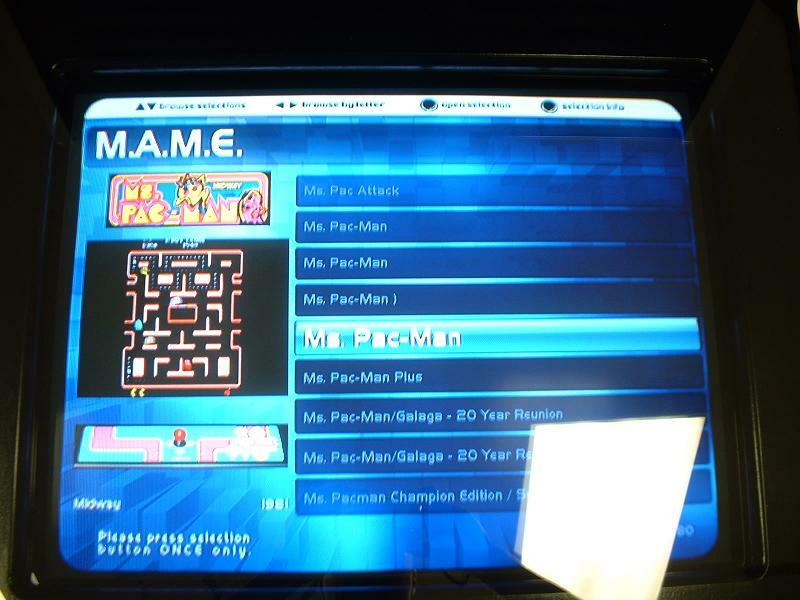 And here is a temp layout for the frontend for mame. damn thats slick as hell. That is awesome, man.... I am truly impressed! A must have for any "Man Cave". Just read the whole thread. That is really awesome. Good job dude. How many games are on there? That is one of the Top 10 coolest things I have seen. 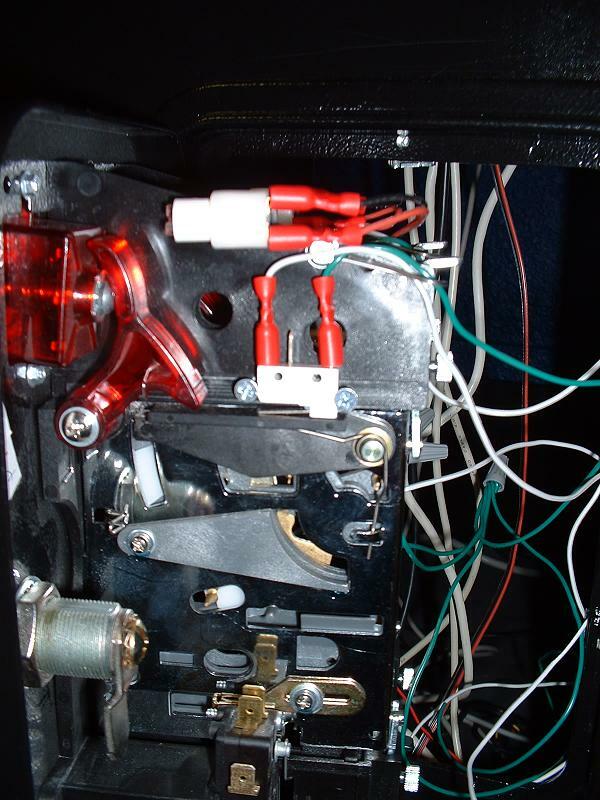 I just realized if you google, "homemade mame cabinet" this is the first match. It's been read over 11,000 times. Congrats dude. PS - Added a couple keywords to help the title. When is the tournament! I will p0wn everyone at street fighter! So, I totally dig the project. Followed up on it months back. But I don't remember, do you have a finally tally for how much the project cost? I'm seriously considering building my own soon and your guide is a great start. I don't remember the exact cost as I am still working on it but it's around $1500 including a new pc. I still need some artwork but I have to source that out. If it's vinyl I can probably do that for you. I have a 48" Vinyl cutter in the garage. PM me any ideas you have. We'll get this materialized. congrats on the google takeover! 1500 is actually not bad. i would pay 1500 right now if you ship it to me... and let me worry about the vinyl artwork. 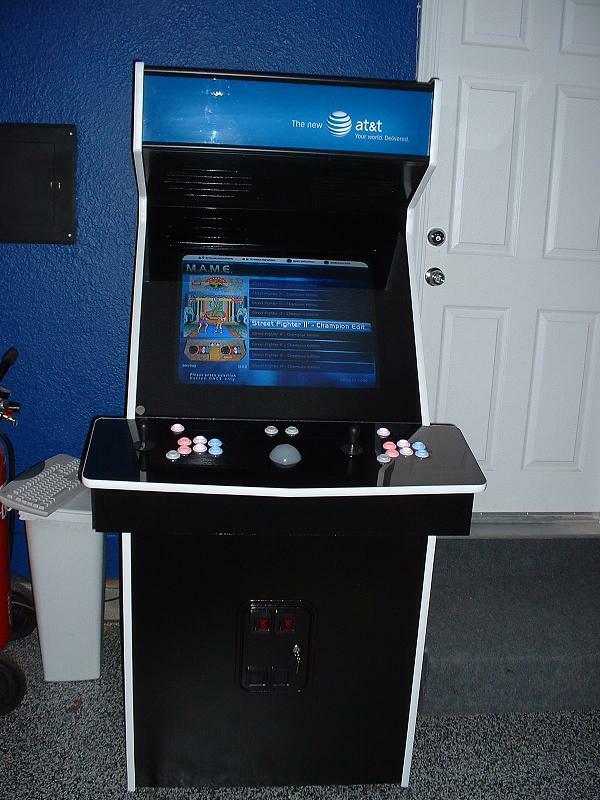 not to bring up a dead thread but i was looking at the at&t cabinet you built and was wondering what arcade control are you using? Happ, Sanwa, Seimitsu? those light up buttons look like translucent Seimitsu buttons. i just bought a SF4 se stick and planning to mod it with a differnt stick and buttons, wondering what set up you had any why. 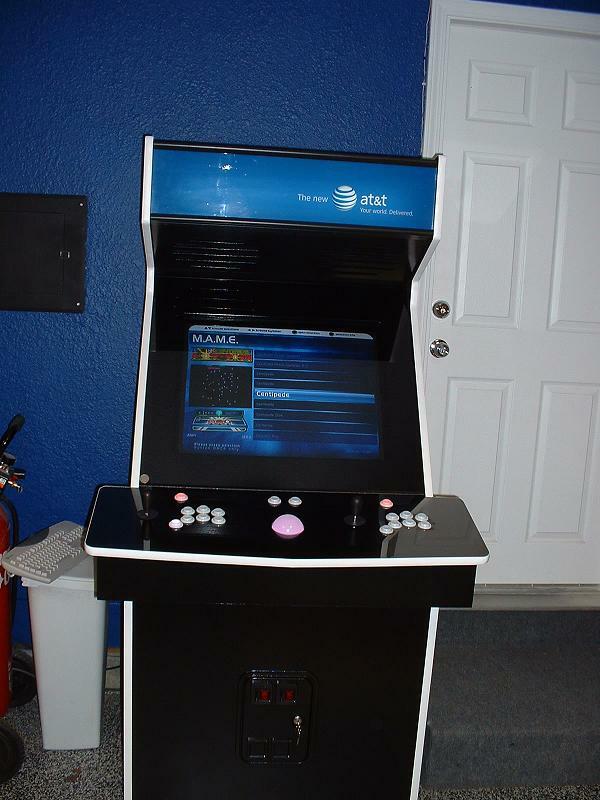 I'm getting ready to build my 5th mame cabinet, I'll show blue prints tomorrow. Its gonna have ps3/360 and mame all in one unit. Be sure to post a ton of pics!